I started my blog around April this year and have found it to be a wonderful way to express myself, and be creative. I found out I loved writing poetry and have taken great pleasure in writing and sourcing beautiful imagery to share with you. I have also made some great connections with other incredible writers. Quite frankly I’m addicted to blogging. 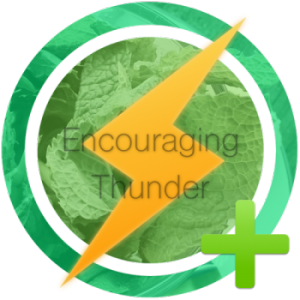 What you can do with Encouraging Thunder award? What you can’t do with Encouraging Thunder award? At least gives thanks via comments and likes and or mentioning the person who give the award. Excellent. Very well done. Kris.